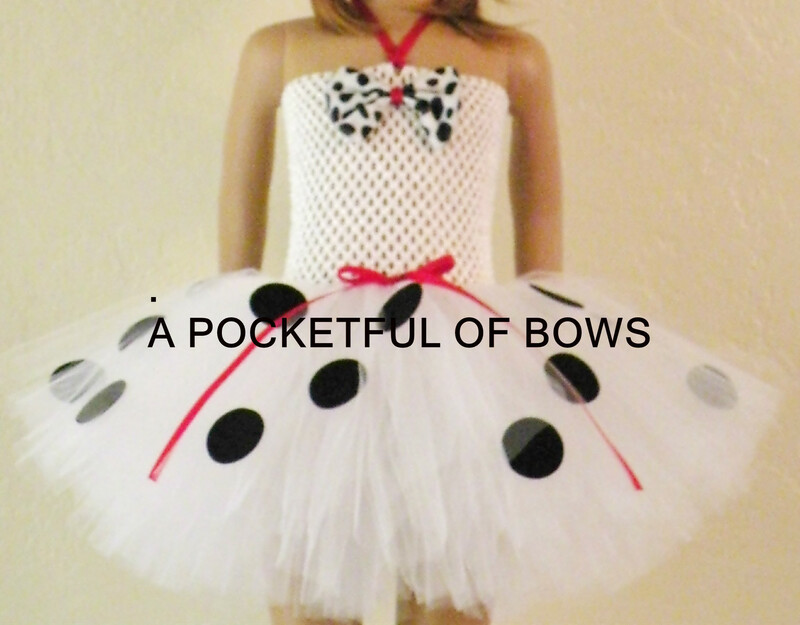 Dalmatian tutu dress costume with ears and tail included! It is white with lots of black spots added to the skirt. This dress is the extra fluffy style with added fabric for a fuller skirt! 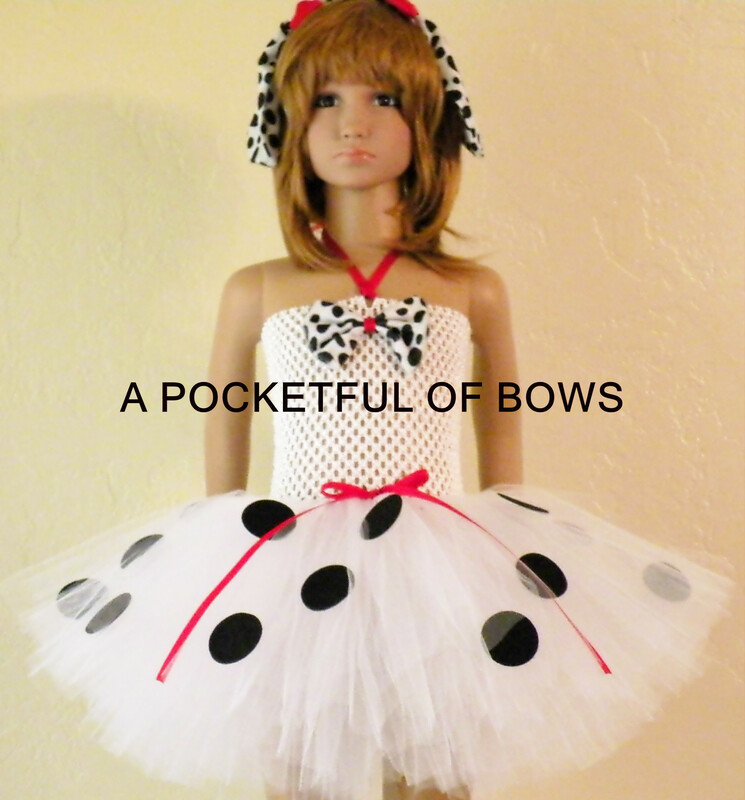 There is a pretty red bow added at the waist. 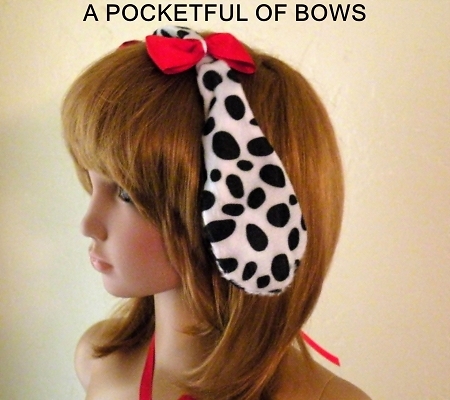 Includes matching Dalmatian ears and tail. Pretty red bows added. Fun for Halloween or a birthday party.